Usha Alexander spent hours staring at ancient stelae and temple walls, noticing in minutiae the details of the figures: what they were doing, how they were dressed, their range of facial expressions. “You project humanity onto the icons, scribbles and traces, and they begin to come loose and alive,” reveals the author. She read about times when wars of conquest, trade, technology, and the ascent of different ethnic groups spread hegemonic languages, along with artistic and religious movements and ideologies. And with every detail, the fragment of a story or a character – someone who might have existed and acted in the real world – awakened to life in the author’s mind. SheThePeople.TV converses with Usha Alexander about how all these elements came together to form the vivid tapestry of the dynamic, political and multifarious world in her epic novel The Legend of Virinara. For Usha, the story began with an image in her mind – of a man and a woman huddled in a forest grove, and a city that lay beyond, consumed by fire. Usha’s readings of history, corresponding papers and articles, led her to see “many shadows of stories niggling at the edges of what is known about those times.” Astounded by the breadth of the sculptures and artifacts, she imagined the past when people lived in so many different kinds of societies, so close to each other: great empires, small kingdoms or chiefdoms, nomadic gatherer-hunters and pastoralists. She fleshed out the material details in her research – the human populace, plants and animal, technology of the period, architecture, national and foreign affairs. “It absolutely hooked my imagination. And as I was also reading the news of current events—about various nationalist struggles, indigenous peoples’ struggles, the spread of dominant cultures and the manufacture of history and identity all happening today—I found myself often reflecting back on parallels or echoes of similar human dynamics hinted at from the ancient world,” relates the author. And as I was also reading the news of current events—about various nationalist struggles, indigenous peoples’ struggles, the spread of dominant cultures and the manufacture of history and identity all happening today—I found myself often reflecting back on parallels or echoes of similar human dynamics hinted at from the ancient world. “Most of us accept these stories without examining where they come from or whose interests they serve—let alone whether they are even ‘true’ in any objective sense. Conflicting narratives about who constitutes ‘us’ and who constitutes ‘them’ are being generated and promulgated in the world today to serve nationalist and separatist agendas, as well as unifying agendas,” asserts Alexander. As India becomes increasingly homogenised, and the multiplicity of folk narratives are increasingly filtered and disseminated through institutions run by members of the dominant castes and social groups, the author sees the different versions of many stories being lost in favour of a single narrative. 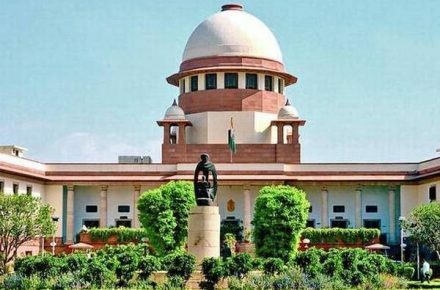 Conflicting narratives about who constitutes ‘us’ and who constitutes ‘them’ are being generated and promulgated in the world today to serve nationalist and separatist agendas, as well as unifying agendas. The Legend of Virinara features a diverse range of central characters. Apart from Shanti, a Virina princess of noble lineage, there is also Narun, a Macaque warrior and Gontu. There’s also the depiction of distaste and sense of hierarchy between the Virina nobles and the Gontu tribe. Usha emphasises these narratives because “most people understand their identity through them—identities that they stake their very lives upon, that they will kill and die for.” The Virinas and the Gontus vilify each other: casting the other as the treacherous enemy in their own mythologies; each claiming that they are the original and righteous occupants of the land they are fighting over. “Not everyone has direct access to power in the same way. Not everyone is in a position to exercise their independence or individuality in the same way. Each one is faced with different tradeoffs, and they act within the liberties and constraints of their position,” explains the author. “I’d certainly like to believe that war could be made obsolete but, I confess, it’s difficult to imagine a human world entirely devoid of war and violence,” expresses Usha Alexander. The author is not presenting an excuse for violence, but merely placing it in context, to help us begin to understand what it is and why it is. “Ultimately, I think the question becomes how do we contain and direct our violence? How do we recognise what it is within us? How do we use it and how do we prevent its use?” cautions Alexander. To write in a voice from Ancient India, Usha read translated ancient Indian writing, and remarks by modern writers about ancient writers. These texts left the author with the impression that “the ancients were fond of verbosity, baroque wordplay, maybe a certain grandiosity in their style of expression.” She thought that the modern reader would find those stylistic preferences off-putting in prose – let alone difficult to replicate – having had no exposure to original ancient texts. In the end, Alexander gave the protagonist a voice that sounds a bit ‘old fashioned’ in a way that she hopes will be transporting to readers, without trying to recreate a stylistically authentic voice from the time. Shanti is the protagonist of The Legend of Virinara, a female protagonist from an age where women’s narratives are often lost or have been retold by men – which Usha finds to be “a momentous loss to humanity.” The character is central to the conflict in the book and her story is brought to the very forefront as she narrates the story of the downfall of the kingdom of Virina. “We have been here the whole time, facing the same world faced by men since the dawn of humanity. How absurd is the bias that women’s perspectives are in any degree less legitimate or important or interesting than those of men?” questions Usha Alexander. We have been here the whole time, facing the same world faced by men since the dawn of humanity. How absurd is the bias that women’s perspectives are in any degree less legitimate or important or interesting than those of men? 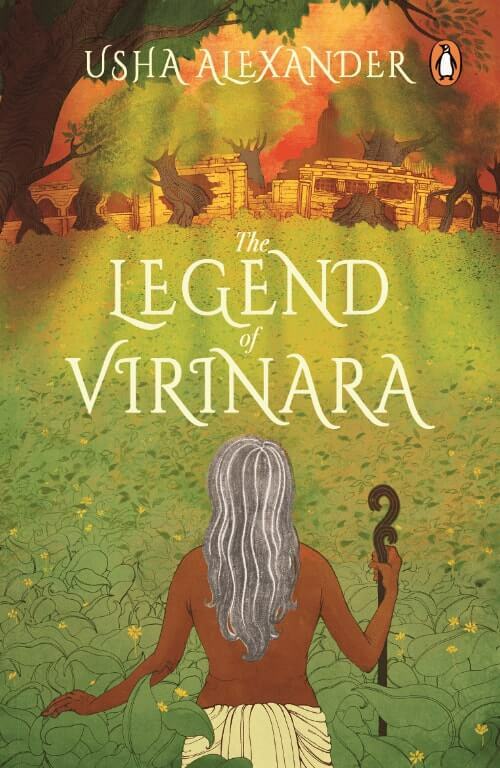 Eelar Amma, Chiruma-akrima and Rangri steer their own strong narratives in the plot of The Legend of Virinara. “They are essential to our human experience as missing notes in the human symphony. It behoves all of us to remember that they have as much to contribute to our understanding of the world as any other narratives,” asserts Usha about women’s narratives. The author goes further to note that all kinds of female narratives are necessary, not just strong ones. She finds it to be useful “to recognise that there are different kinds of strength in all narratives, regardless of gender.” Alexander believes that the more narratives we have access to, the more we can know about ourselves, where we came from, where we might be headed, and how we can cope with our existence. Feature Image Credit: Namit Arora, Penguin Random House India. 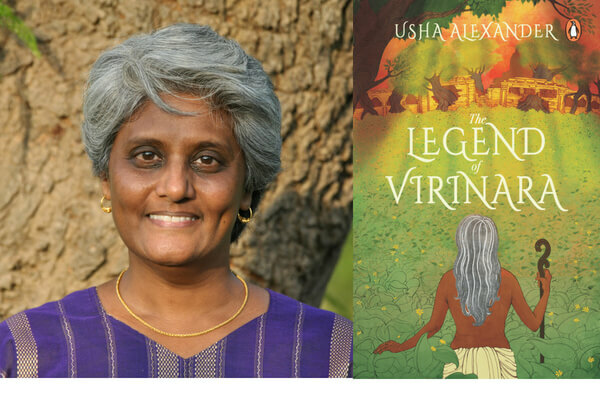 The Legend of Virinara, by Usha Alexander, has been published by Penguin Random House India. It is priced at Rs. 299, and is available online and in bookstores.